Interior shutters offer an array of benefits no other window dressing can, combining both stunning luxury good looks with perfect practicality. Shutters give a designer look to a room while being easy to maintain, durable and hardwearing. Our shutter experts cover the whole of Staffordshire, so whether you live in Stoke-on-Trent, Lichfield, Stafford, Newcastle-Under-Lyme or any other area in the county, give us a call and we will be delighted to have our shutter specialist visit you at your convenience and show you samples of our wonderful shutters in your windows. 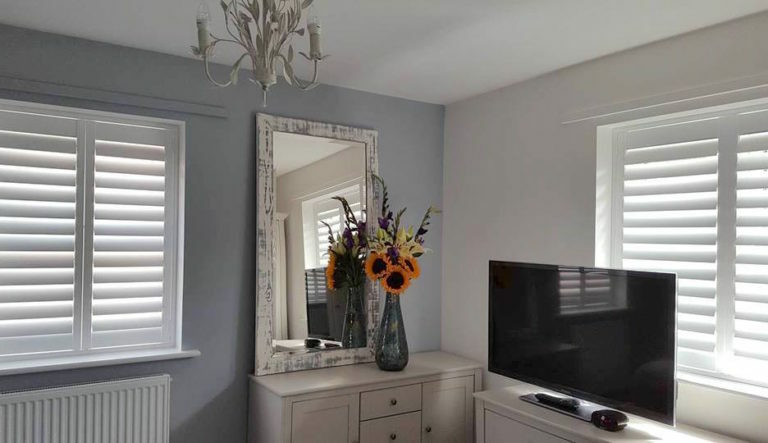 For an idea of the amazing transformation shutters can give to a room, please browse our galleries to see our latest designs and installations. With Just Shutters, our expert will be on hand throughout the process, from design to installation and we are here to support your lifetime guarantee should you ever need us. With an enviable reputation and passion for perfection, Just Shutters have the widest range of interior shutters available in Staffordshire, in fact the whole of the UK, so whatever your taste and style, we have the perfect shutters for you. For shutter inspiration why not download or request a free postal brochure, arrange a design consultation or for further information, please call us on 0845 894 077. You may also like to see Shutters Redditch, Shutters Solihull and Shutters Shrewsbury.